View cart “OLIVE BOWL” has been added to your cart. At Taneez, the finest craftsmanship meets modern designs. It has to be unique, handmade with a certain charm that only the most experienced Pakistani craftsmen can bring out and this all comes together in this special set. 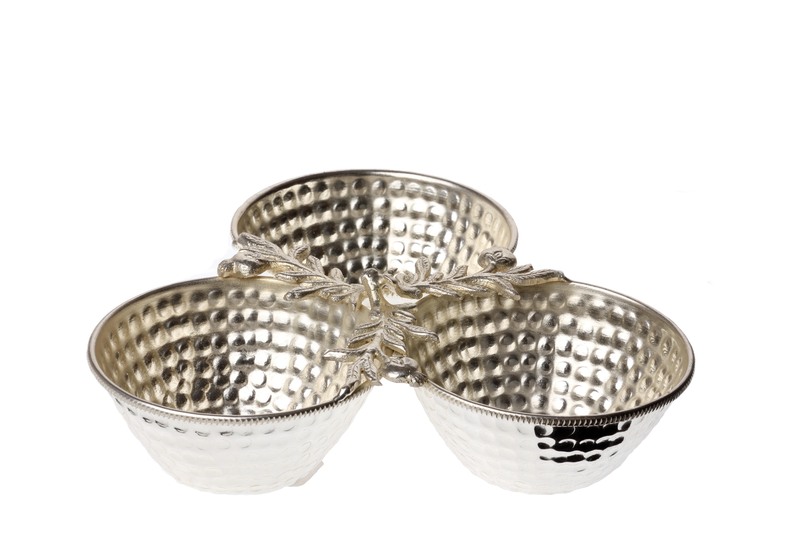 The Garland Bowl has three delicately hammered basins with rounded edges. The side of the bowls is adorned with twigs. The matching spoon that comes with this set has the same fine detailing. It will add elegance when serving snacks like nuts or dried fruits to your guests. This set will be a perfect gift idea for a wedding, an anniversary, mother’s day or any joyous occasion.